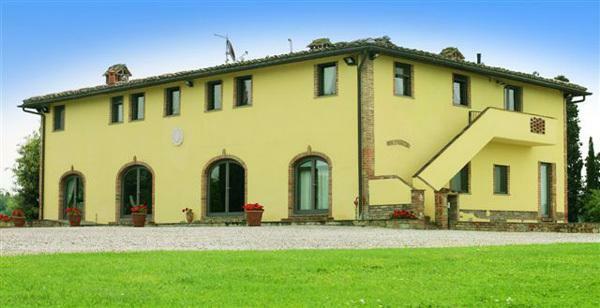 Villa 9100 has been recently renovated to create a beautiful and very comfortable country house. 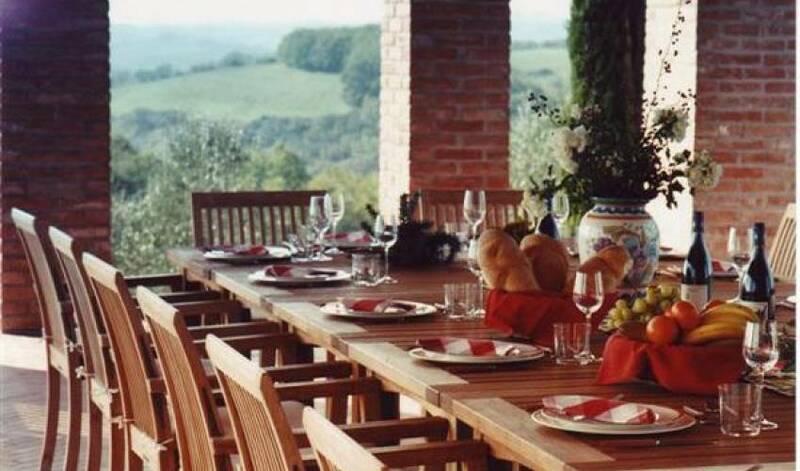 The villa is located between Florence and Pisa, on a hilltop where you can enjoy magnificent views of the rolling Tuscan hills. 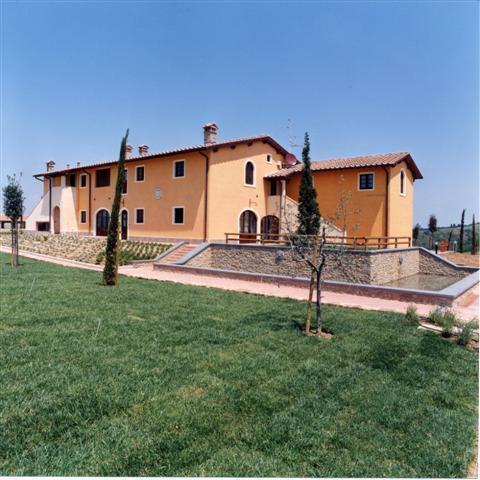 The property is composed of a main villa, a dependence, and a pool house. Villa 9100 offers the utmost in refinement, elegance and comfort; its highly spacious interiors offer total comfort as an ideal location for family reunions and group gatherings. 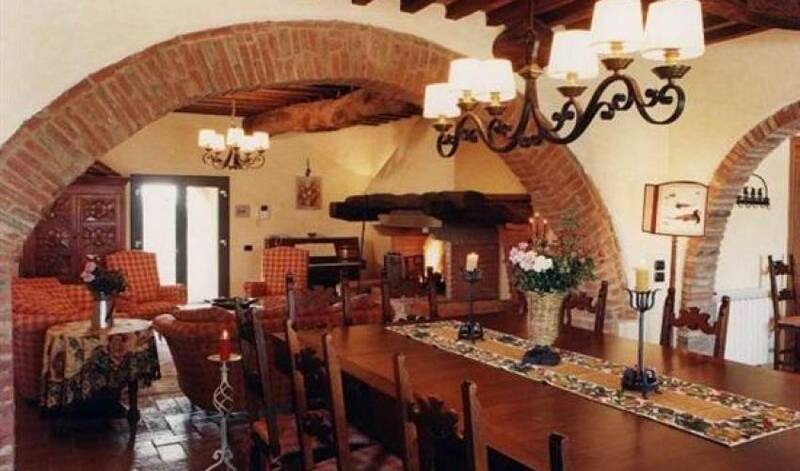 The villa is decorated in a refined Tuscan country style, with a select number of restored antique pieces, exposed beam ceilings, old Tuscan terracotta floors and specially aged parquet flooring in all bedrooms. 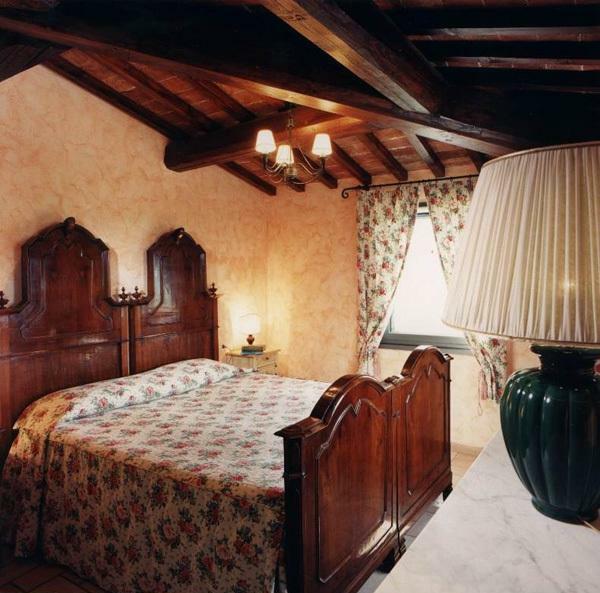 Ground Floor: 1 queen bedroom and 1 twin bedroom, each with large, private bathroom with shower. 1 queen with en suite bathroom with shower. All bedrooms have direct access through French doors to the pool/garden area. First Floor: Three wings feature 6 bedrooms per wing, each with private, separate access to the pool/garden area by 20 stone steps. Northeast Wing: Entrance hall. 1 queen bedroom with large en suite bathroom with shower. 1 queen bedroom with private entrance and private bathroom with shower. Central Wing (Master Suite): 1 queen bedroom with en suite bathroom with shower. 1 spacious twin bedroom with private entrance with private bathroom with shower. 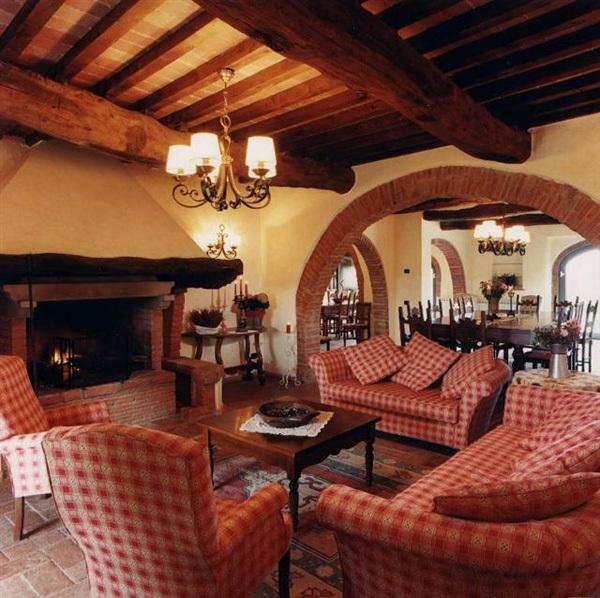 Large lounge with open fireplace and dining area with kitchen corner. Covered terrace. South Wing (Pool Side Suite): 1 queen/twin bedroom with private bathroom with shower. 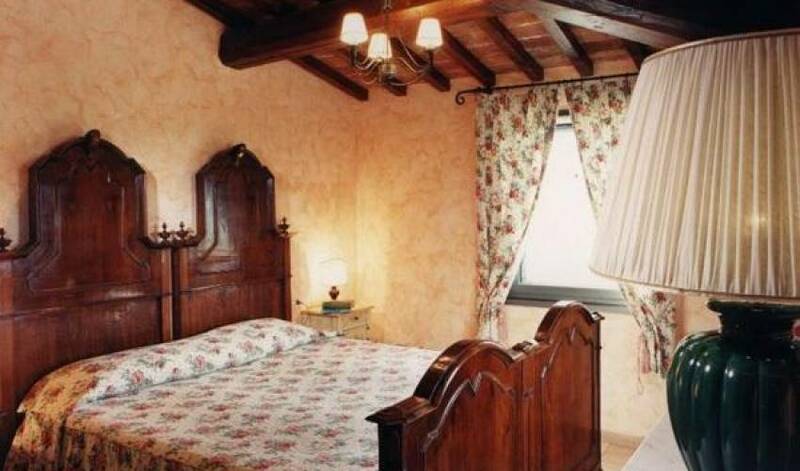 1 twin bedroom with private bathroom with tub with handheld shower. Lounge with dining area and kitchen corner, small sitting/reading room (with sofa bed). Balcony with pool view. 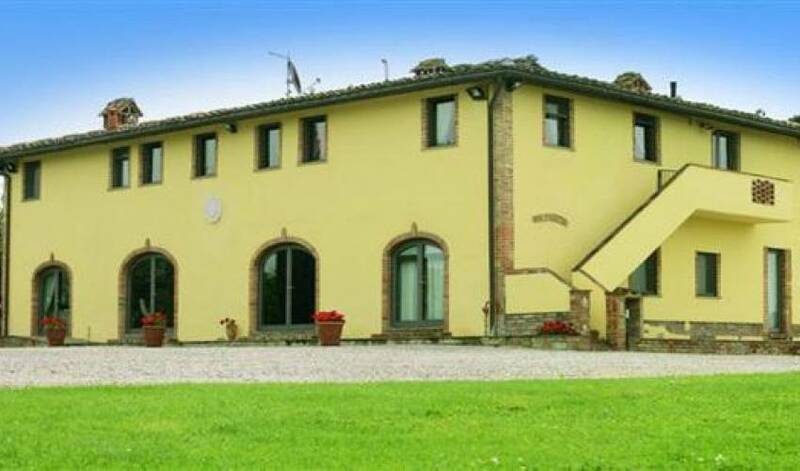 Pool Side Granary: 1 large queen bedroom with open fireplace small en suite bathroom with shower. Large French doors lead to private terrace and pool area. Ground Floor: Spacious double dining area has large main table (seats 26) and 2 smaller dining tables for breakfast or children's meals. 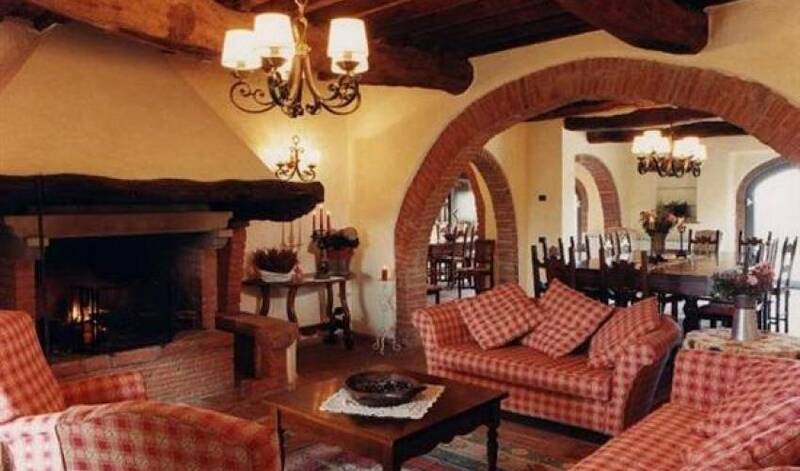 Large lounge area with fireplace, sitting/ reading room with open fireplace, large fully- equipped country kitchen. All rooms have access to garden/lawn area. 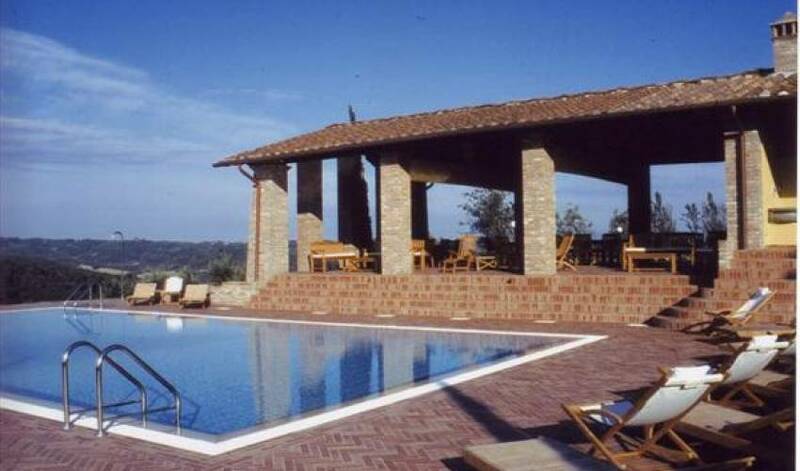 A vast, tastefully decorated loggia with cushioned teak furniture and terracotta flooring for relaxing and outdoor dining; Steps lead down to pool solarium and flat lawn area. 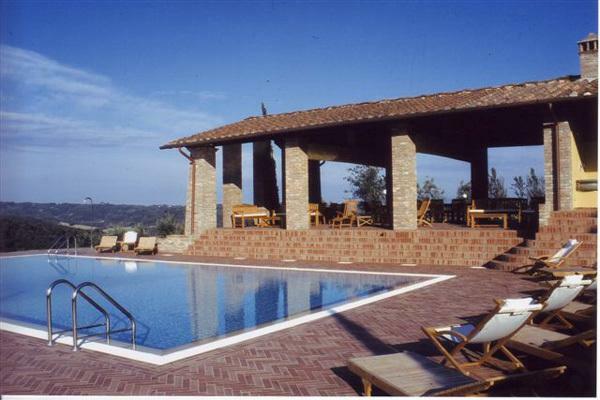 Private, panoramic pool (7.5 x 15 m). 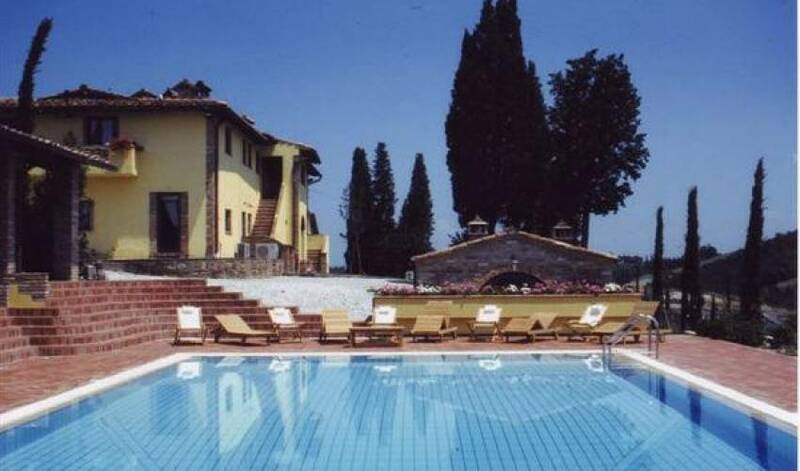 The villa is surrounded by lawns, olive groves, rose and lavender gardens, and flowered terraces. The pool, loggia and garden are all lit up at night. All bedrooms/suites are air-conditioned. Dishwasher, microwave, large American refrigerator and coffee maker in the kitchen. Windows and interior shutters are fully soundproofed with double glazed glass. Decorated wooden headboards, slatted bases, and good orthopedic mattresses. Large outside barbecue, roasting spit and grill area, old stone basin, worktop area. Satellite TV, Stereo, DVD, Lap top rentals available (with high speed wireless card), cell phone provided for guest use, WiFi internet access, washer and dryer. From mid-July through to the end of August, there is a Kids Club on the estate. The Kids Club runs three mornings per week and offers educational activities and games as well as the opportunity to meet other children on the estate. Guests will appreciate the attention to detail in the restoration and the decor at Villa 9100. The bathrooms feature cotto floors; grés tiled walls; old-fashioned heavy wood and porcelain topped vanity units. 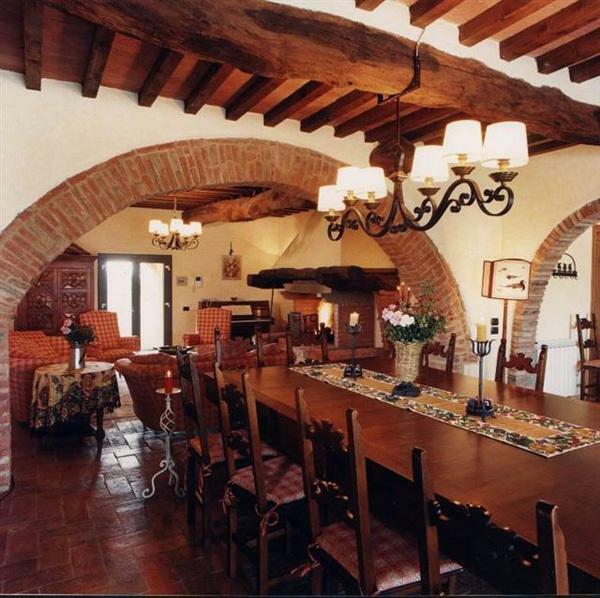 Luxury lamps (wrought iron, glass, terracotta) and light fittings throughout. 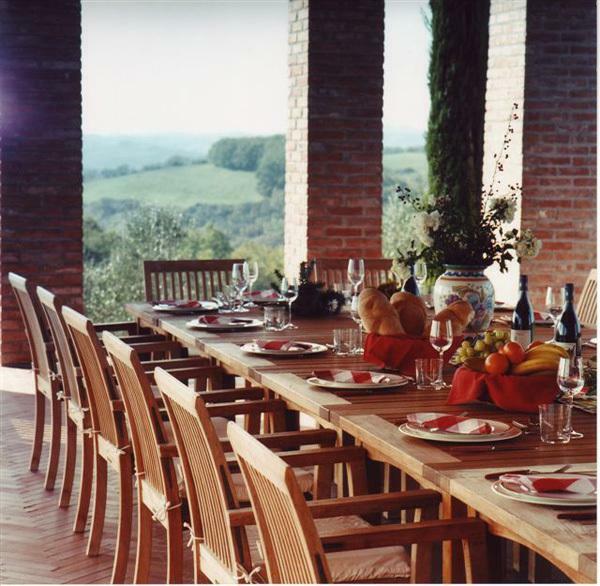 The old original Tuscan ‘cotto' and the aged parquet flooring combined with elegant upholstery give a special charm to the villa.